The Aperio® H100’s stylish design is perfect for indoor office and facility doors. 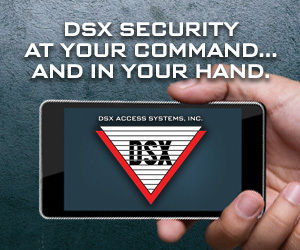 The Aperio® H100 can work within an online access control system or offline as a standalone device. A battery fits inside the handle, ensuring a minimal footprint and a discreet look to gel with any contemporary door style. The Aperio® H100 is easy to retrofit on existing doors, with no drilling and no wiring required. Any existing mechanical cylinder can still be used. The Aperio® H100 is specified with maximum flexibility and designed to fit almost any format of interior door. The Aperio® H100 is compatible with most common European (DIN) and Scandinavian mortise locks, in wooden, steel, tubular frame or glass doors with standard lock cases. It comes in left- and right-hand versions for a door between 35mm and 80mm thickness, with optional U-handle and USB adaptor. The Aperio® H100 is compatible with multiple RFID technologies, including iCLASS®/ISO14443B, iCLASS® SE, Seos®, MIFARE® Classic, Plus and EV1, and DESFire® SE. 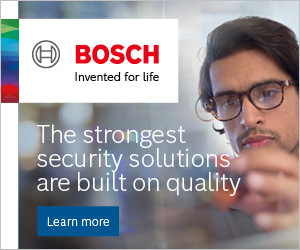 The new Aperio® H100 handle completes a comprehensive range of Aperio® wireless access control devices that already includes online and offline Aperio® cylinders (C100/C900) and escutcheons (E100/E900); an online and offline lock (L100/L900); and a wireless lock for bringing server racks and cabinets (KS100) into the same access control system as doors. 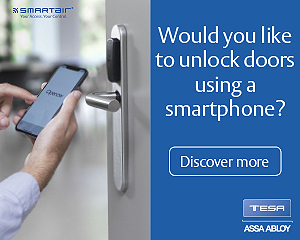 To discover more about how Aperio® enhances security and convenience at any premises, you can watch a short film at www.assaabloy.co.uk/aperiowirelesslocks.